Long for a height chart that doesn’t scream I’m a height chart? Me too and this one measures up in the discretion department perfectly. It’s not that I’m against height charts per se, no siree. It’s just I have nowhere to put a height chart in our home without my teen children reeling in horror. This is why the Doorjam Children’s Height Chart is perfect for my situation (and now doubt many Babyologists’ out there) as it discreetly fits in the door jam. 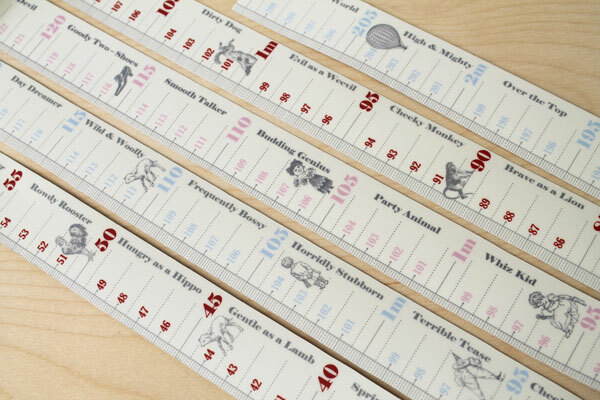 The Doorjam is available in three designs – blueberry, raspberry and strawberry – and has listed either personality traits including Dare Devil and Goody Two Shoes or animal sayings such as Happy as a Lark and Cold Turkey at every five centimetre measure for your child to aim for Dare Devil and Goody Two Shoes. 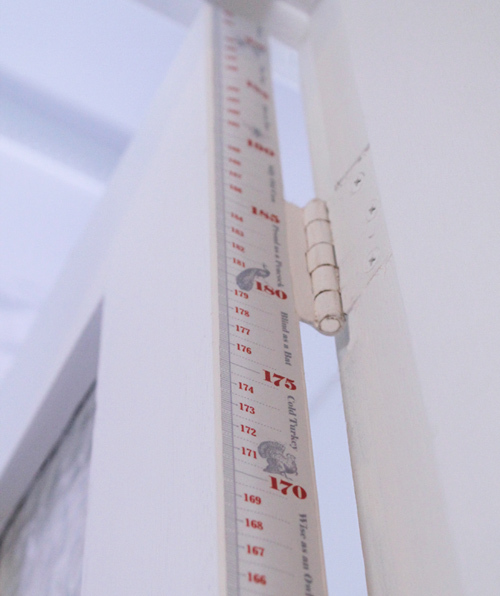 Not to be fooled by its sneaky size, it measures up to 2.1 metres to cater for the tallest of teenagers (or mum and dad) and there’s ample room to record names and dates of growth spurts on this height chart. A fully self adhesive tape, it is removable but not guaranteed to be re-positionable, so think carefully where you want to place it. 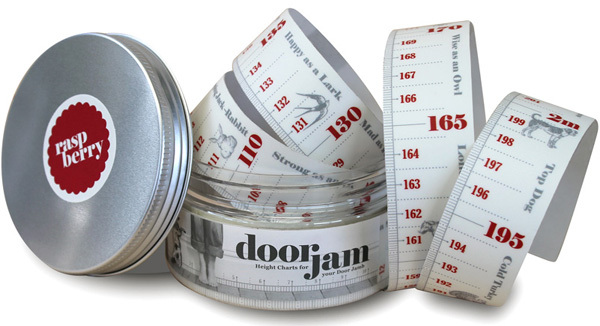 The Doorjam Children’s Height Chart is packaged in a super cute jam jar and is priced $25, available from Foolhouse.